If you have $10,000 or less in extra savings then it would be a better idea to invest your money in a certificate of deposit than just a regular savings account. 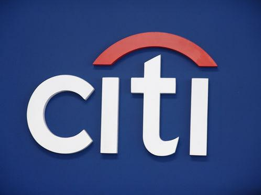 There are many banks that offer good rates for their customerto and Citibank is certainly one of those banks. Citibank is a solid bank that has been providing quality financial services to people. The services they provide include savings accounts, debit and credit cards, mortgages, loans, checking accounts, and many more. Citibank is a leading bank globally with 200 million client accounts and it does businesses in over 160 countries. This proves the near infallible system that the bank has established for itself. Citibank’s certificate of deposit is a great deal for those who have amounts of $10,000 and less. People will be assured of competitive CD interest rates whether it is for short or long terms. First, the interest rate of the CD will be paid on a monthly basis or at maturity if the term is one year or less but for those certificate of deposits with terms of more than a year then the interest is really paid per month. And lastly, the CDS are renewed automatically after maturity and thus the owner of the CD will be able to choose whether he or she would want to renew or even select another term. As of today, those who will be choosing the three month term will have an interest rate and APY of 0.15%. For the 7 month term, the APY and interest is 0.20% while for the one year term, the interest and annual percentage is 0.25%. These are just some of the rates and terms that people can choose from.